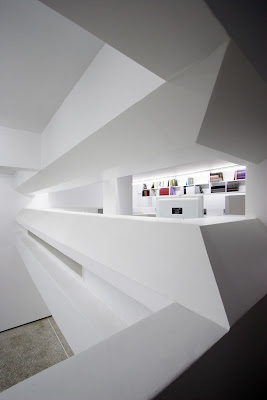 The Hellenic Institute of Architecture, in co-operation with the Benaki Museum presents in an exhibition that opened on the 15th of April, the Architecture Awards for 2008. On the eve of the opening, the awards ceremony took place at the museum. The awards gathered a lot of press in Greece, which recently was become a bit more sensitive to architectural issues, prompted in a major part by the discussions about the New Acropolis Museum by Bernard Tschumi. 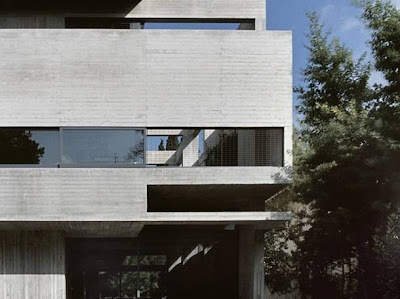 The purpose of the awards, according to the Institute, is to highlight and promote the contemporary architectural projects whose construction, typology and morphology as well as their environmental conformity compose an architectural proposal with renewal elements in the frame of the existing urban environment. The awards are about realised projects in Greece, they are three and are awarded every four years for three different categories. One is about housing, one is about state or municipal projects and one about projects that do not fit either of the previous categories. For the housing category, "House in Psychico" by Pantelis Nikolakopoulos, below and first photo of this post. 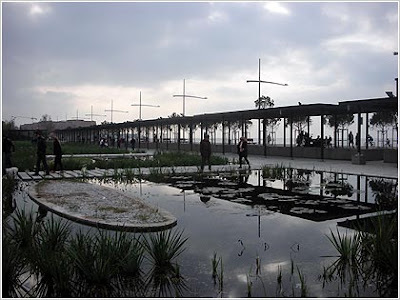 For the Public sector category, "Remodelling ofThessaloniki beach front" by Prodromos Nikiforidis, Bernard Cuomo, Atelier R.Castro, S. Denissof, below and second photo of this post. 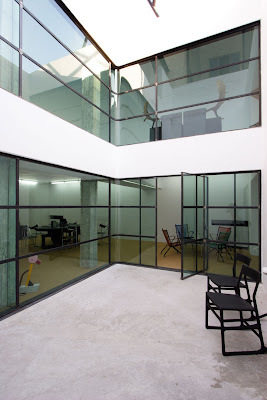 For the category of projects not fitting in the above two categories, "The Breeder Gallery" by Office 405 - Aris Zambikos with Pulcheria Giova as collaborator, below and last photo of this post. The exhibition will showcase all participations, so that one can view the trends developing in Greek Architecture in the last five years. 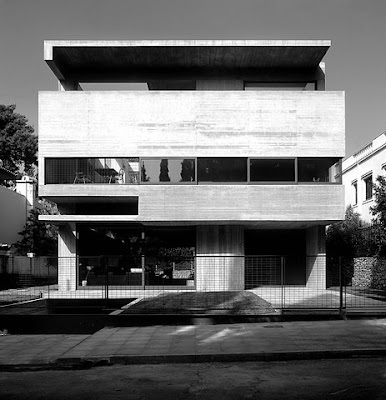 The Hellenic Institute of Architecture believes that the basic purpose of an award is the recognition of the quality of the achievement, which means rewarding not only the result but also the effort of all the contributors to it. The show is curated by Nikos Kalogeras and Marianna Milioni. Photos of the House at Psychico courtesy of the architect. 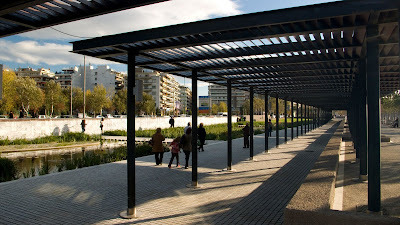 Photos of the New Thessaloniki Beech courtesy of Lucretius. Πόσο μου αρέσουν τέτοια κείμενα και φωτογραφίες.